Trippping Lissy: Is The Autism Epidemic Deliberate? by Dr. Rima Laibow, M.D. What you are about to read is so shocking, disturbing and counter-intuitive that you will want to turn away from even the possibility that I am right. I urge you, for the sake of yourself and your family, to consider what I am presenting before rejecting it. The England Hypothesis, named for its brilliant creator, Christina England, herself a mother of two adults severely injured by vaccines, is important enough to change our world. If I am correct and the England Hypothesis is accurate, it already is changing our world in unimaginable and horrifying ways – and no one noticed until Christina saw the pattern last week! She shared it with me and the other Trustees of the Natural Solutions Foundation. We believe she has hit the nail on the head. Read on. Your world will never be the same. No one would wish an autistic child on his/her family. No one could harm a child intentionally to that extent. No one wants to see minds and lives destroyed. Right? Wrong, according to the England Hypothesis. According to the England Hypothesis, vaccine injury-induced autism is an intentional chemical manipulation used to create millions of worker drones – sterile, docile, unable to question the conditions handed to them for their lives, content with boring, repetitive tasks, placid, disposable and interchangeable. 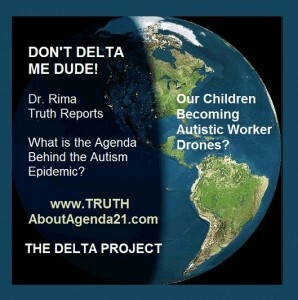 In short, autists are the ‘deltas’ and ‘epsilons’ of the brave New World Order toward which we are being herded through intentional social, political and genetic manipulation consistent with the genocidal aspirations of the globalists and their horrifying Agenda 21. A moment of historical perspective is in order, since this has been in the works for a very long time. Aldous Huxley’s Brave New World was published in 1932. In that dystopian view of our future, babies were created to serve the state, raised in Hatcheries and Conditioning Centers, where they are divided into five castes, each designed to fulfill predetermined positions within the social and economic strata of the World State. Fetuses chosen to become members of the highest castes, ‘Alpha’ and ‘Beta’, are allowed to develop naturally while maturing to term in “decanting bottles”. Fetuses chosen to become members of the lower castes (‘Gamma’, ‘Delta’, ‘Epsilon’) are subjected to carefully designed specific chemical interference to cause arrested development in intelligence or physical growth. High cast members are individuals since each ‘Alpha’ or ‘Beta’ is the product of one unique fertilized egg developing into one unique fetus. Members of lower castes are not unique but are interchangeable and disposable drones since large numbers are spawned from a single ovum. We do not yet have decanting bottles and hatcheries in which to produce Genetically Modified babies. In our world, 2013, they are created with syringes. They are not called deltas and epsilons. They are called autistic people. The England Hypothesis suddenly explains – and predicts, as any good hypothesis should – the otherwise inexplicable and currently mysterious. It makes total sense out of the totally unscientific and irrational vigor with which world bodies support increasing numbers of highly toxic vaccines for every child, even before they are born, knowing full well that these children will be damaged – chemically altered – forever, but denying it with insane fervor. It also makes total sense out of the vicious and illogical attacks on those who call vaccines out for what they are: syringes of death, inefficient, inexact, illegal, uninsurable, disastrously dangerous and scientifically unsupported practice of vaccination. Those who survive somewhat intact are intended for the bottom tier of the labor pool – the technicians and working prols keeping the Neo-Aristocrats clean, fed, mobile and entertained. Some autistic people are employable. Some are not. But the ones who are are make perfect technoids: happy with routine tasks, happy with predictable, controlled environments and lives, happy with limited aspirations and capable of docile, life-long passivity if their routine needs are met, eager to please and sometimes very good at highly linear tasks like programing. 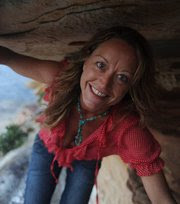 So autism, we realize, thanks to the brilliant insight of our Dr. Rima Reports guest this week, Christina England (mother of two autistic vaccine injured adults) is a useful trait induced in a large number of children for their technician classes. Let’s test this horrifying hypothesis against the known facts, shall we? Goldman Sachs this week announced the funding of a program to hire the autistic. The links at the end of this article take you to just a few of the programs now receiving funding and plaudits from globalists like Goldman Sachs and Bill Gates. …it makes good business sense to employ people who are reliable, punctual and loyal; people who have good attention to detail and concentration levels; people who have excellent problem solving skills and can be analytical, resourceful and creative. What good employer wouldn’t want an employee with those skills? Indeed, what good employer would not? But what lengths would that good employer and his friends go to in order to make sure that there were plenty of people in that pool, plenty of deltas and plenty of epsilons? The length of a syringe, perhaps. The England Hypothesis, to which I subscribe, says they would – and, horrifyingly, do. Millions and millions of times per day, all over the world. Fox News reports that SAP, a huge German company which employs 65,000 programmers world-wide now want 10% of their programmers to be autistic persons. Justifying their interest in autistic programmers, Fox tells us “The multinationals both say they hope to harness the unique talents of autistic people as well as giving people previously marginalized in the workforce a chance to flourish in a job." How nice. What about people with Spinal Bifida? Parkinson’s Disease? Cerebral Palsy, flipper limbs? harelip? 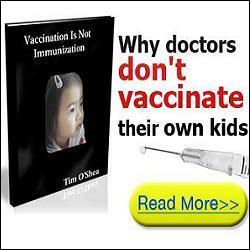 The propaganda is flowing, now that vaccine injured persons are reaching marketable age. He is part of the most visible generation of young people with autism our society has ever known. Diagnosed early, this generation have been educated to expect not just a job when they leave school but a career on a par with their 'neuro-typical' contemporaries. ‘Neuro-typical’ sounds like Brave New World Order speak for Alphas and Betas. There are Several Natural Solutions to this Horrid Plan for our Future. The FIRST, for those who are still neurologically intact, is not to vaccinate anyone with anything ever again. There are religious, medical and philosophical exemptions available to most of us. Getting them is burdensome, but autism, cancer and a life of pain and suffering is more burdensome. The SECOND, for those who are already damaged, is to stop vaccinations now and forever more. None work, despite the propaganda, and all are dangerous. See the paragraph above. There are excellent lawyers and organizations who will help you gain an iron-clad exemption for your children and yourself. 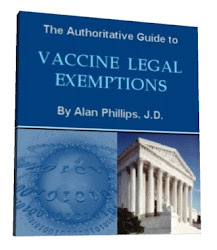 The THIRD is to take this Action Item, http://tinyurl.com/VaccineRefuser, telling your decision makers that you absolutely reject forced vaccination or other drugging now and forever for every one of your family members and then commit to motivating at least 10 others to do the same and motivate 10 more, etc. Mass resistance is fertile, not futile. And the FOURTH is to become an advocate for vaccine truth. Tell your friends, neighbors, church members, relatives, people in the supermarket checkout line, playground parents, co-workers, that you do not support vaccination and that you are a vaccine refuser as I am. In fact, I invite you personally to send me a less than 1 minute video telling me why you are a vaccine refuser. Email it to me at drRima@globalhealthfreedom.org. We’ll create a Vaccine Refuser’s Wall of Fame and you’ll be there along with me. Ultimately, vaccination is perhaps the clearest issue of health freedom or slavery. Either you own your body and control what goes into it or you do not. Either you are a free person or one whose body belongs to someone else. Either you control your genetic matrix or someone else has the right to alter it for their purposes.